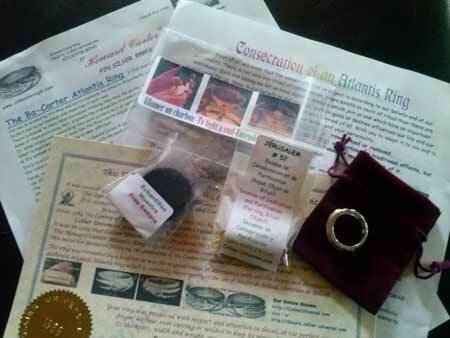 " Howard Carter " Atlantis Ring For more 30 years. As well on the Astral plan as Tellurique. The weight of this ring varies between 16 and 30 grams, depending on size. IT IS MADE OF PURE PLATINUM IN ORDER TO PREVENT ENERGY LOSS THAT MAY BE CAUSED BY ALLOYS.